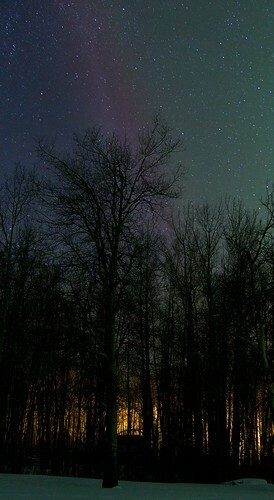 Northern Lights with the neighbours yard light giving me the nice horizon in the trees. It was about -13C and I could hear the settling of the trees crackling in the quite of the night. Spring will soon be here and the cool fresh air will be replaced as the days get longer and longer.